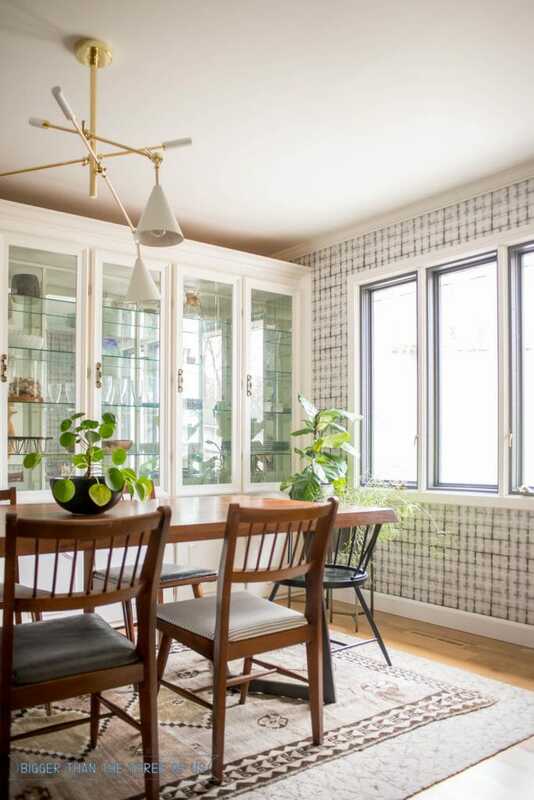 Installing wallpaper yourself can be a daunting task but it definitely doesn’t have to be. Luke and I installed wallpaper in our dining room and definitely lived to tell the tale. To be honest, we would do it again in a heartbeat. Personally, I think installing wallpaper is a two person job, with one person (my hubby in my case) being a detail-oriented type person. But seriously, with two people doing the job, it’s really not that hard of a project. That being said, there are cases where we need to chat about installing wallpaper and whether you should DIY or Hire It Out. As you know, we are DIYers BUT that doesn’t mean that we do everything DIY. I’ve done a TON of DIY wallpaper removal and once you listen in, you’ll hear my method but also hear that I do think there are times to call in professionals. 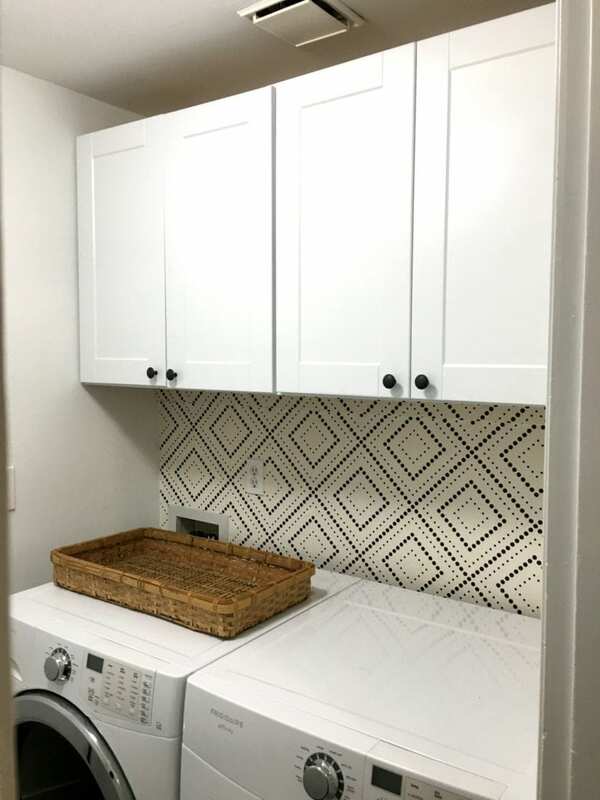 Look at how great Suzannah’s laundry room looks with wallpaper (and this is the example of how it’s hung sideways)! We hope that once you listen in, you’ll learn enough about wallpaper removal and installation to be ready to tackle it OR hire it out. 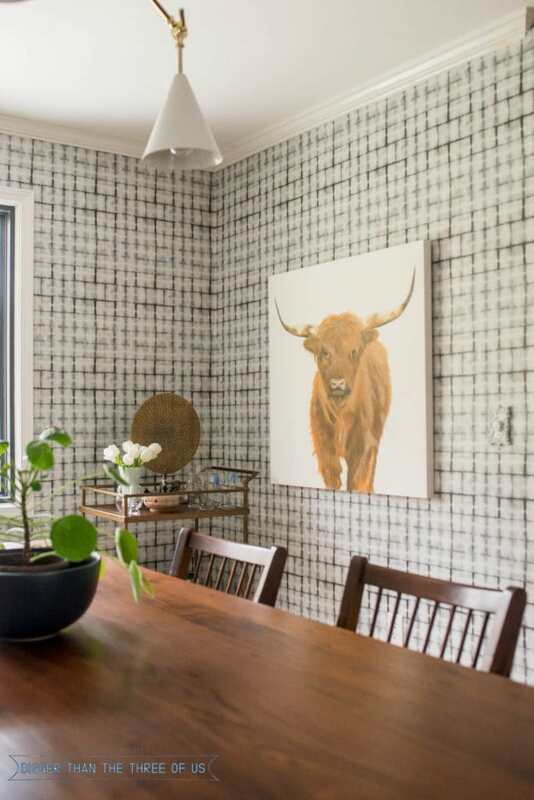 Either way though, wallpaper can totally make a room pop! You can find us on our blogs or connect with us on Instagram (@yourhomestorypodcast). We’d love to hear your questions and thoughts! Join our Facebook group here if you want to be part of this little community that we are creating or email us at yourhomestorypodcast@gmail.com!